Having straight teeth isn't a guarantee. There are a whole host of reasons why a person's smile may not look as good as it can be. That's where our Orland Park restorative and cosmetic dentistry center can help. We can develop advanced dental treatments that address different kinds of dental problems. People who have teeth that jut out too far face a number of issues. Let's go over the problems caused by jutting teeth and then briefly discuss some of the treatments available. Jutting teeth can cause both cosmetic problems and issues with overall dental wellness. As far as cosmetics are concerned, jutting teeth can make you extremely self-conscious about your smile. You may feel reluctant to speak, smile, and laugh around others, which includes friends and members of your family. With regard to dental health, jutting teeth can make it difficult and even painful to bite and chew, making different foods a problem to eat. 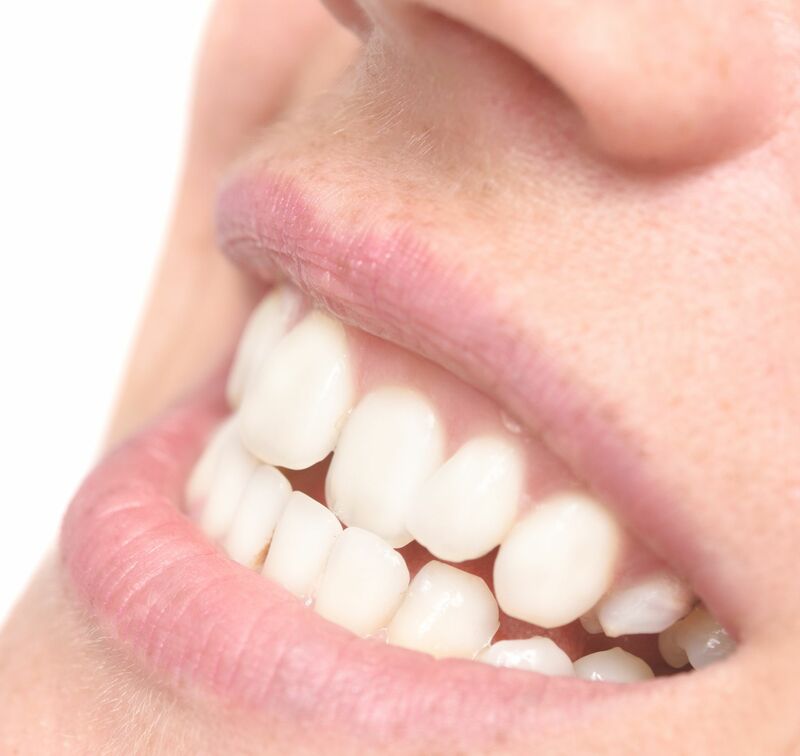 This kind of tooth misalignment can also lead to various kinds of dental damage related to teeth grinding (bruxism), including tooth fractures, gum recession, and jaw problems such as TMJ disorders. Thankfully there are many treatment options to consider. If you have a tooth that juts out only a bit, cosmetic or restorative dentistry options may be the most ideal treatment. A porcelain veneer or a series of porcelain veneers may help improve the overall symmetry and alignment of your smile. A dental crown can also be used, with a tooth carefully reshaped and capped so that it appears to be in better overall alignment. In most cases, orthodontic care is the ideal treatment option for teeth that jut out or are crooked. Dentists and orthodontists may decide that the patient's issues are best treated using braces, palatal expanders, headgear, or other types of appliances. These will use carefully applied pressure over the course of several months to adjust the position of the teeth. While adult orthodontics is successful in many cases, it's ideal for orthodontic treatments to be performed during adolescence when possible. Since patients are still growing and maturing, orthodontic treatments at a younger age tend to go much faster. If your jutting teeth are too difficult of an issue for even orthodontic care, advanced measures can be taken. This generally means oral surgery combined with other dental therapies. Oral surgery helps with the manipulation of bone, tooth, and other tissues in the mouth, and helps with improving the overall alignment of the smile. After surgery, patients will often undergo orthodontic care to help make fine adjustments to dental alignment. As you can see, there are plenty of options to consider if you have teeth that jut out too much. The best way to find out which may be ideal for you is to visit the practice for a consultation. During your visit, we will answer all of your questions and address all of your concerns so you can make an informed decision about your dental wellness needs. If you would like to learn more about treating poor dental alignment and helping your smile look its very best, it's important that you contact an experienced cosmetic and restorative dentist today. We will help develop a treatment plan just for you.